While each dog has its own unique personality, its breed plays an integral part, with some being more headstrong compared to others that are more eager to please their masters. Nonetheless, every dog is trainable, whether you want it to perform a simple dog trick or something more complicated. With such a thing in mind, this leads to one important factor in the dog training equation. It does not matter what breed, age or general temperament your dog has. If you are not fully invested in its training, then all your efforts will mean nothing. The key to successfully training your dog is to have regular training sessions. But more importantly, training sessions should be short. Frequent and consistent training sessions are much more preferable over a long and irregular training schedule. Like children, dogs respond better to training in a positive and encouraging environment. Thus, instead of using punishments like hitting your pet or using electricity to shock it so that it will subsequently submit to the behavior an owner wants (which are certainly cruel things to do), pets and their masters will fare better by using positive reinforcements. 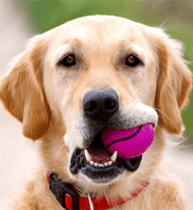 Once the pet responds positively to a command, the owner reinforces this behavior by giving the dog a reward, the most common of which are food treats but may also include toys and praise. Should you choose food as a reward for your pet, it would be better to make it something special instead of its general fare during meal times. Apart from keeping in mind that treats should be given in small quantities, pet owners can benefit more from a training session using food as a reward if they schedule training prior to meal time. 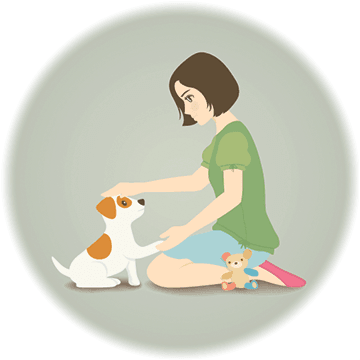 Should you choose to reward your pet with praise or any other form of affection, it is best to schedule the training when the pet is more responsive to such stimulus. One example of this is when you come home after work or school. It is also noteworthy to keep in mind that the reward should be delivered immediately after it has responded to your command. Should your pet fail to respond to your command, its punishment should be the absence of a reward and nothing else that is harsh. But no matter what your motivation may be for having your dog trained – be it to simply teach your dog to be well-behaved inside and outside the home or to help entertain guests with advanced tricks — the important thing to remember is to have fun with your pet.